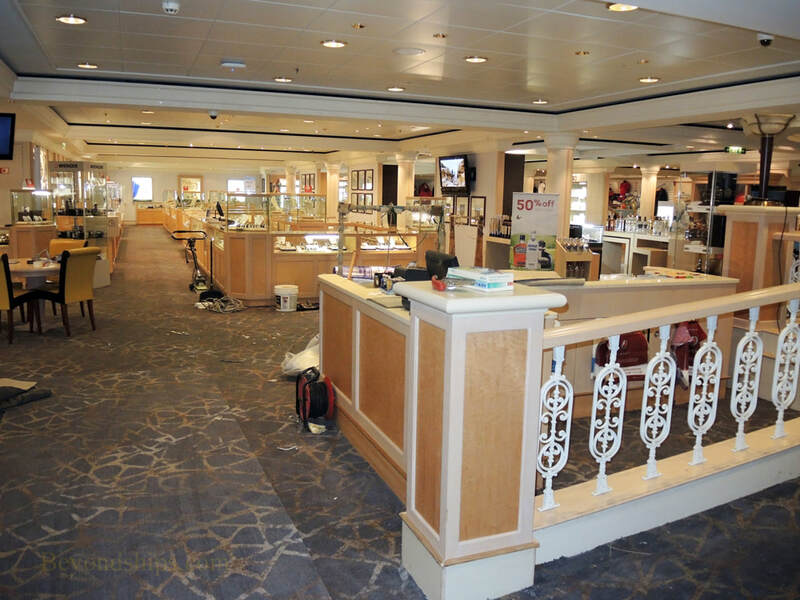 The main shopping area on the Jade is located aft on Deck 7. 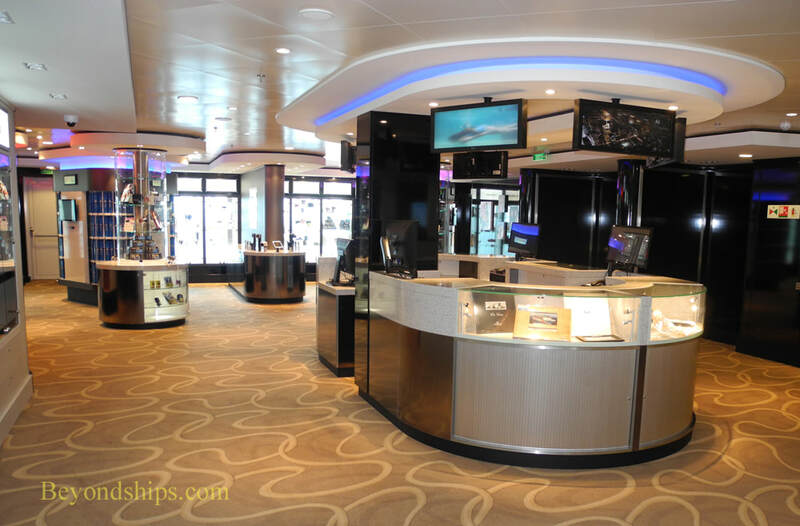 Rather than individual shops, Tradewinds is a large room reminiscent of a department store. 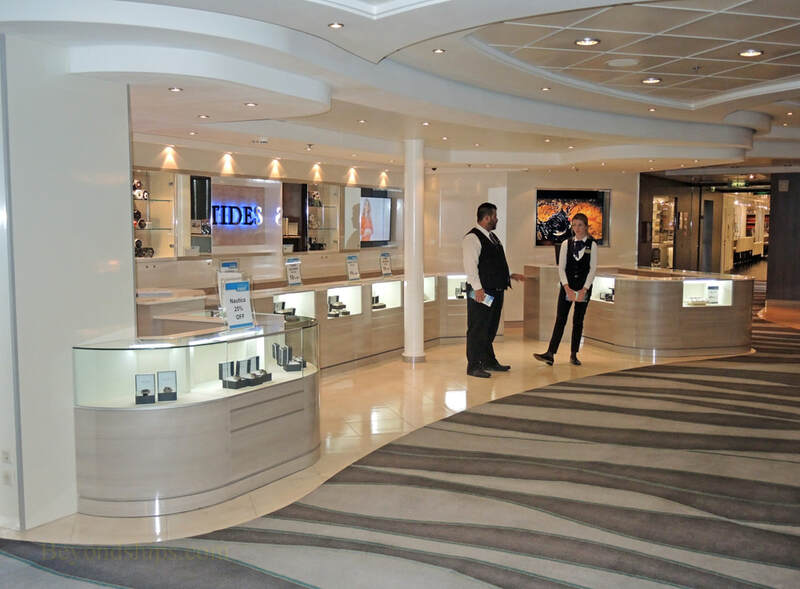 In addition to this main area, there is a gift shop counter in the main lobby called Tides. 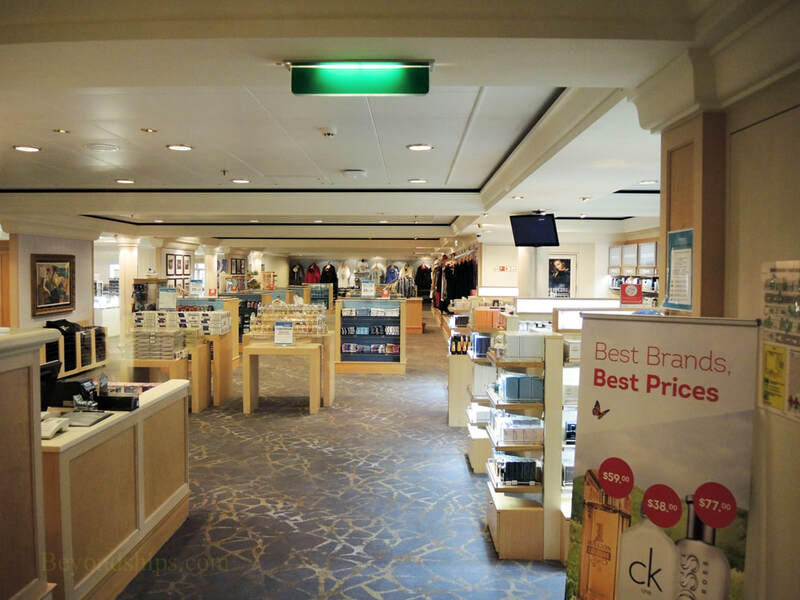 The shops sell clothing, jewelry, sundries, logo and souvenir items and duty-free goods. 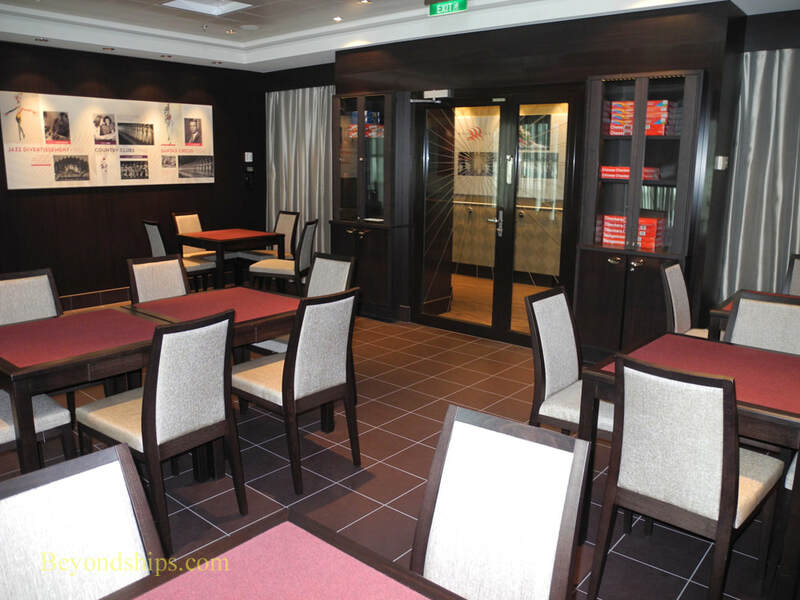 The Photo Gallery (above) has offers the souvenir photos taken in port and portrait pictures taken by the ship's photographers. The images appear on touch screens rather than in racks of photos. 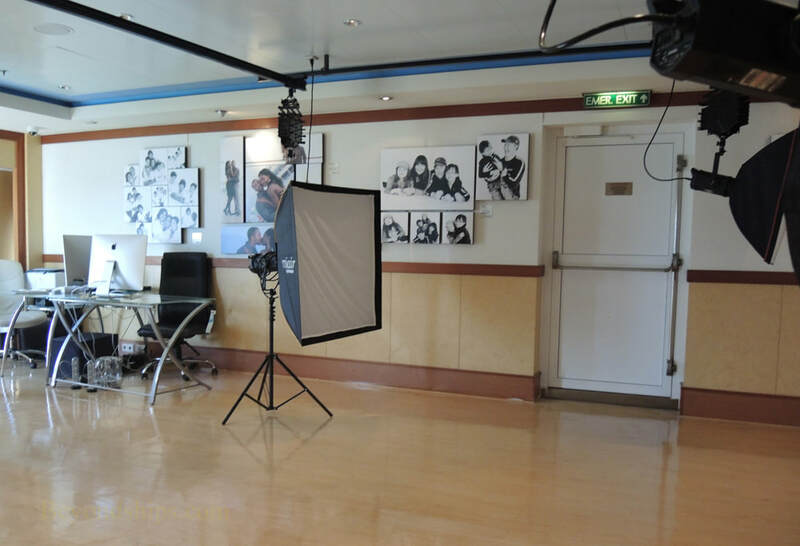 Those photos that have already been printed are stored in binders along the wall. 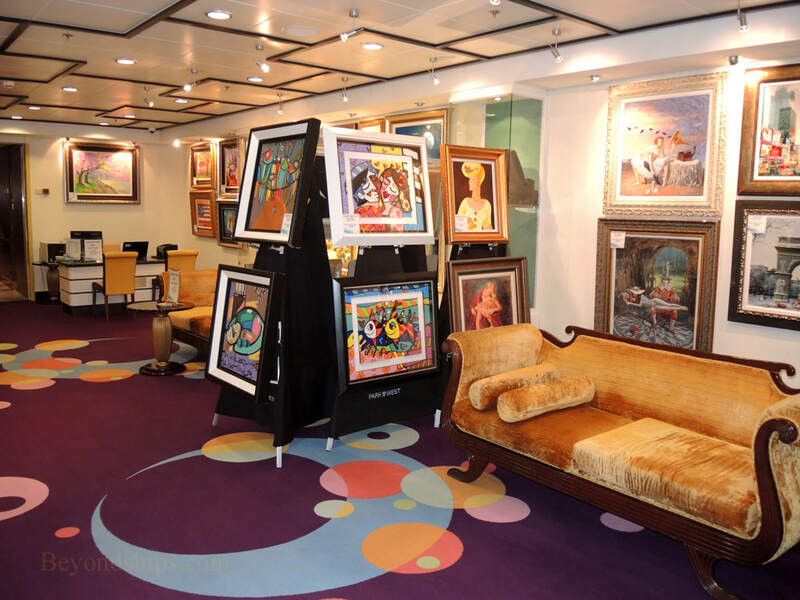 The Photo Gallery also sells cameras and camera accessories. 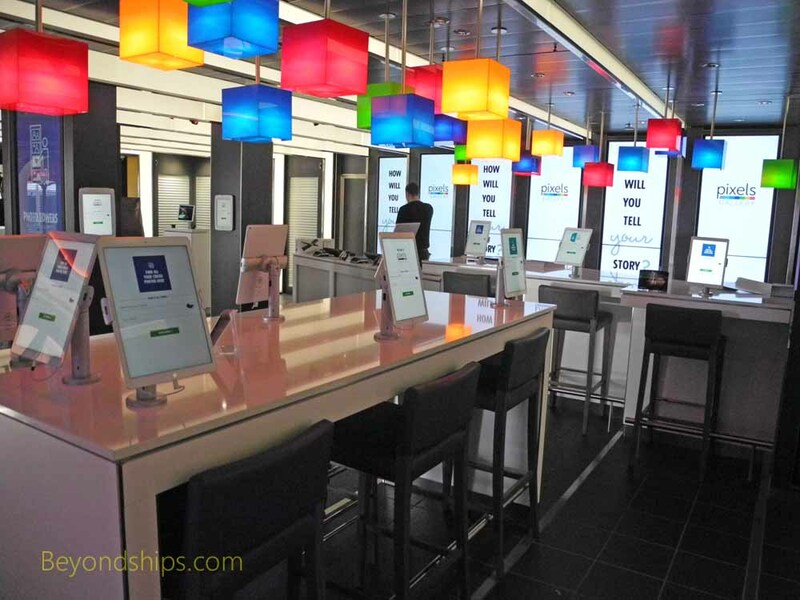 ​The Internet Cafe is next to the Art Gallery and has a row of computer terminals. 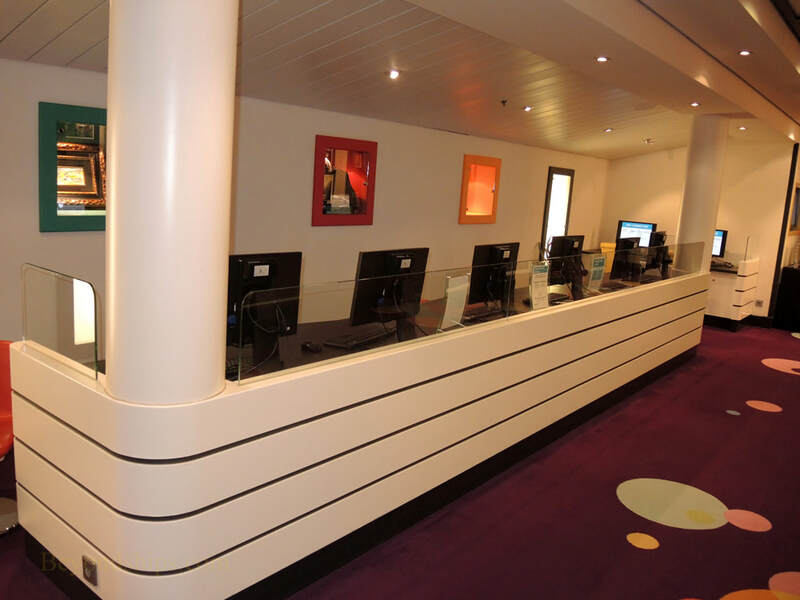 Some additional terminals are in the Library on Deck 12. The Jade has been equipped with WiFi. 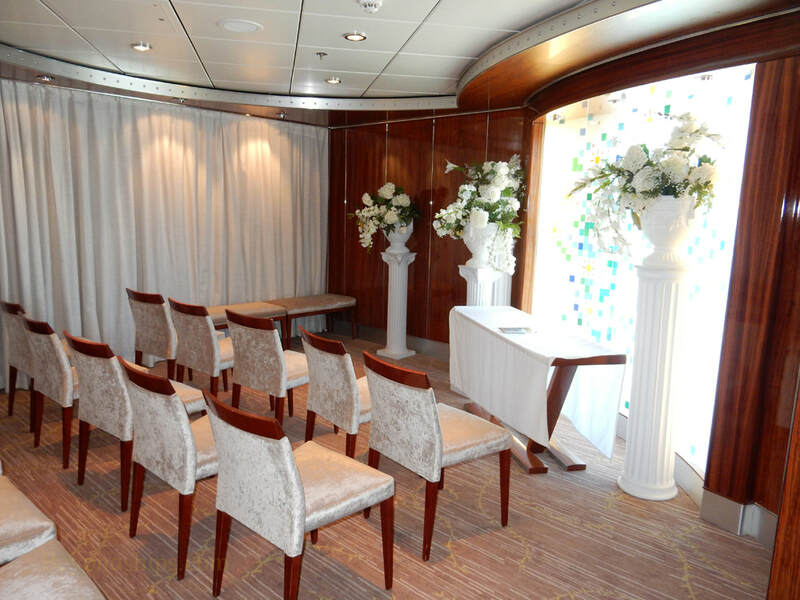 The Chapel can be used for meetings as well as for renewals of vows and other ceremonies. 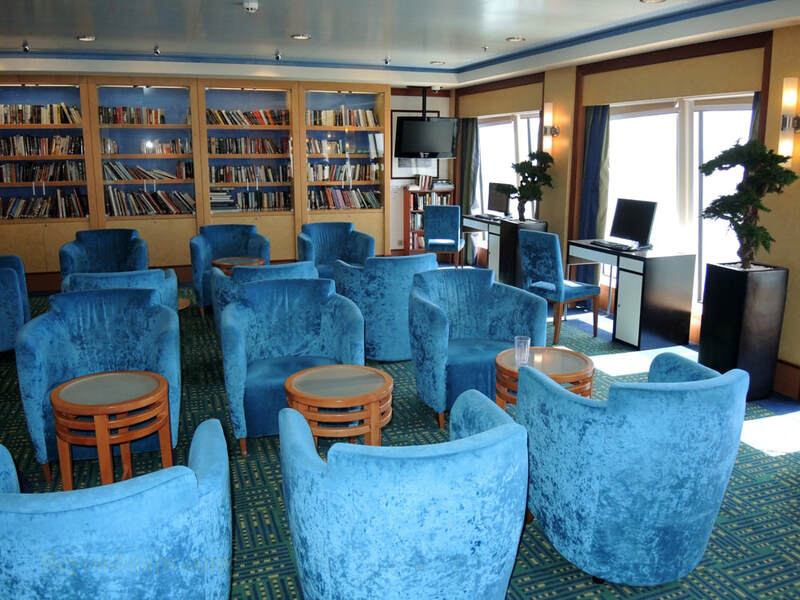 There is also a Business Conference Center (not shown), which can accommodate 60 for group and business meetings.